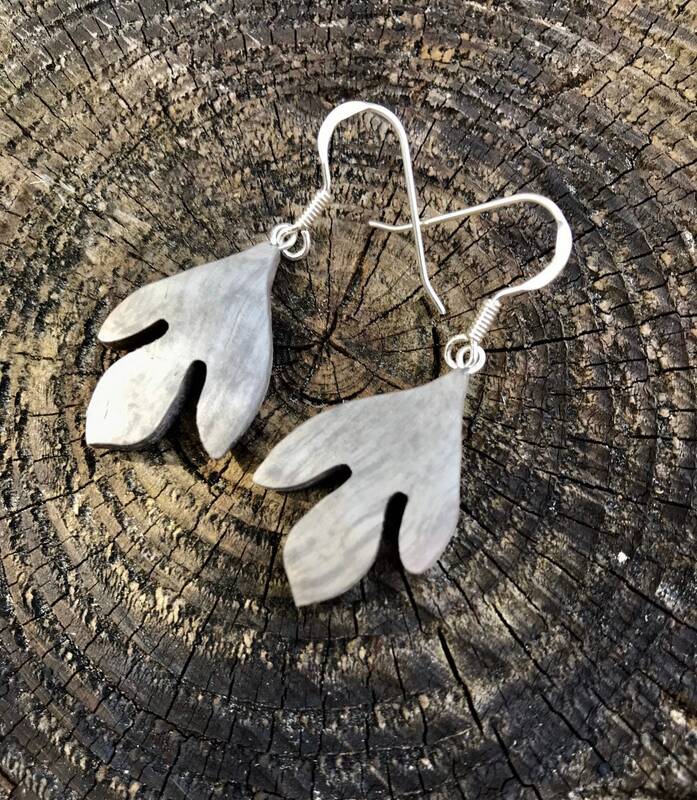 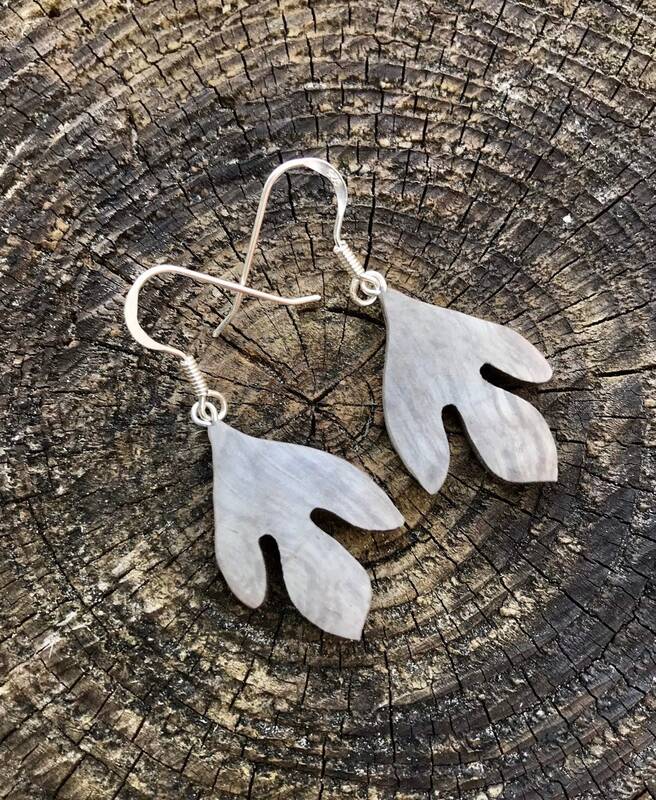 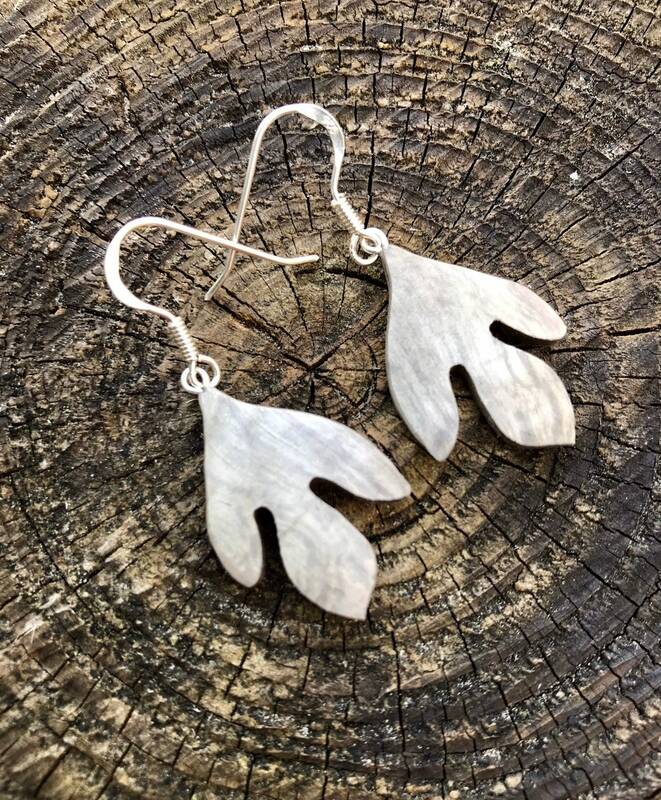 These beautiful, light-weight sassafras leaf earrings are made from sustainably harvested North American wood. 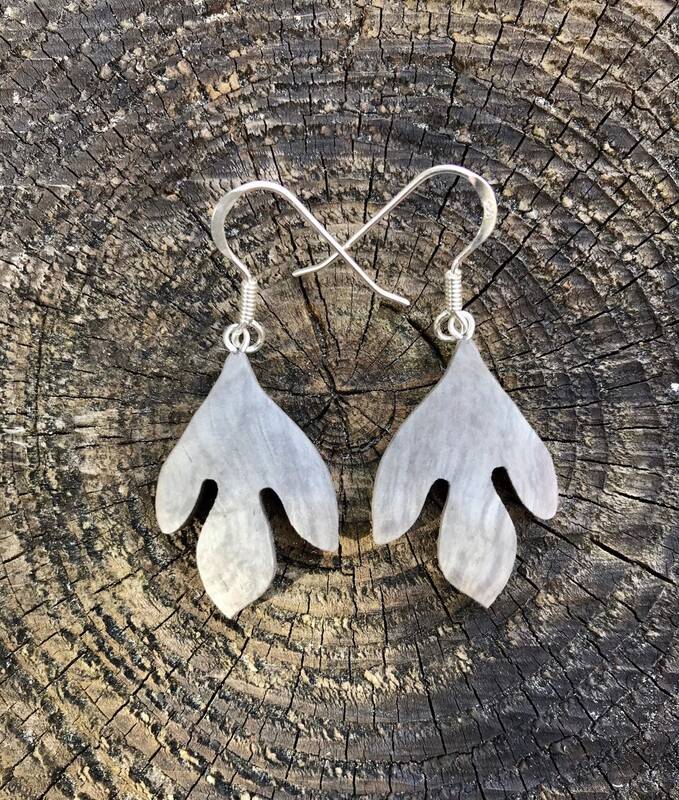 Polished to a silky sheen and finished with 100% pure Tung nut oil. 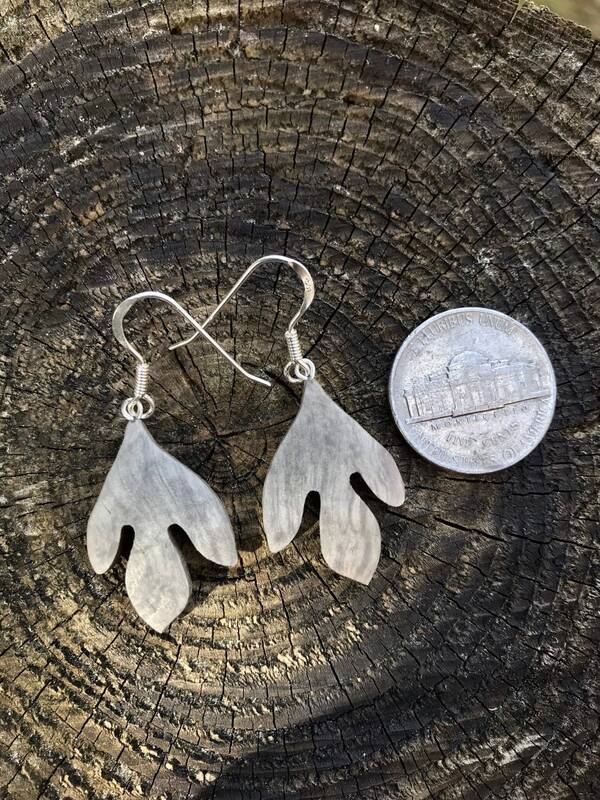 Sterling silver earring hardware.